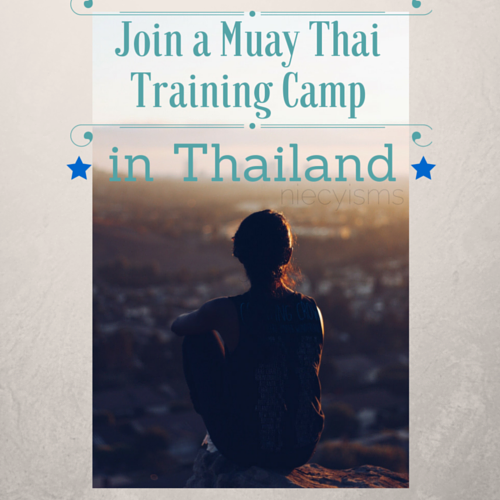 Today, I am sharing the spotlight with a special, featured guest post sponsored by Mom Buzz Media sharing the many benefits of planning a combination vacation to Thailand for Muay Thai Camp fitness training. I thank Mom Buzz Media for the informative content sponsored in this guest post. Have you noticed that our modern lives leave us with significantly less time for fitness, to enoy a work out or to get involved in rewarding physical activity? This reality is especially true for so many women, balancing the acts of spending quality time with their children and managing their numerous tasks at work. Consequently, the lack of physical activity is one of the main contributing factors of many diseases and health related problems in our lives. Knowing these risk factors proves to reason the importance of finding ways to exercise your body whenever possible. Recent hot topics highlight a new trend, it's both a convenient and effective way to achieve fitness goals with a multipurposed vacation for recreation and wellness. Think outside of the box, I'm not suggesting a daily jazzercise class or an unispiring, lonely fitness center, think of an all-out, heavy-hitting, combat sport and martial art, that's both fun and physical- Muay Thai. The growing popularity in recent years, indicate a surge in vacationers deciding to travel away on holidays, which include recreational activities and physical training. A most popular locale is Thailand, a highly-rated travel destination for combination vacations featuring an opportunity to train in Muay Thai. Muay Thai was traditionally practiced by Thai people for protection against attacks from foreign invaders. Today, Muay Thai has become increasingly popular as a sport and physical fitness activity. People from all over the world are benefitting from practicing Muay Thai, and joining Muay Thai training camps while vacationing in Thailand, to continue intensive training while away. Muay Thai is noted as an excellent resource for both wellness and weight loss as it burns calories quickly, (up to 1500 calories in two hours), speeds up body metabolism and helps to break down fat deposits. The benefits of Muay Thai training are effective for both men and women, regardless of age or physical condition. The Muay Thai camp at Bestmuaythai offer professional instructors providing specialized attention to each student's progress and guidance toward optimal performance. In planning for your next combination vacation destination, visiting Thailand is a prime consideration offering exciting exotics sights and an abundance of activities, including Muay Thai fitness training. This guest post was created in partnership with Mom Buzz Media. I thank Mom Buzz Media for providing today's sponsored content.